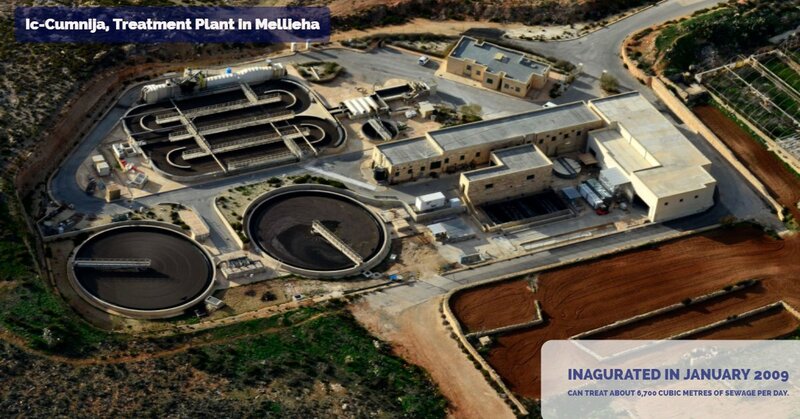 A huge upgrading programme of Malta’s wastewater infrastructure has meant seen the construction of three new sewage treatment plants and an aggressive building programme of new pumping stations, underwater galleries and a state-of-the-art SCADA control system. Any sewage treatment plant basically works by speeding up a natural process that uses bacteria. What normally takes nature weeks is done by sewage treatment plants in only around 18 hours. Raw sewage is fed into large aeration tanks and churned by large submerged blowers that introduce air though banks of diffusers. A very heavy concentration of bacteria eats up the solid matter which is then extracted from the system as surplus sludge. Clear, odourless water which is still fairly high in bacteria rises to the top and is then discharged into the sea. This water is not fit for drinking but is harmless to the marine environment. The surplus sludge is then de-watered and the resulting material can potentially be used for soil enrichment. 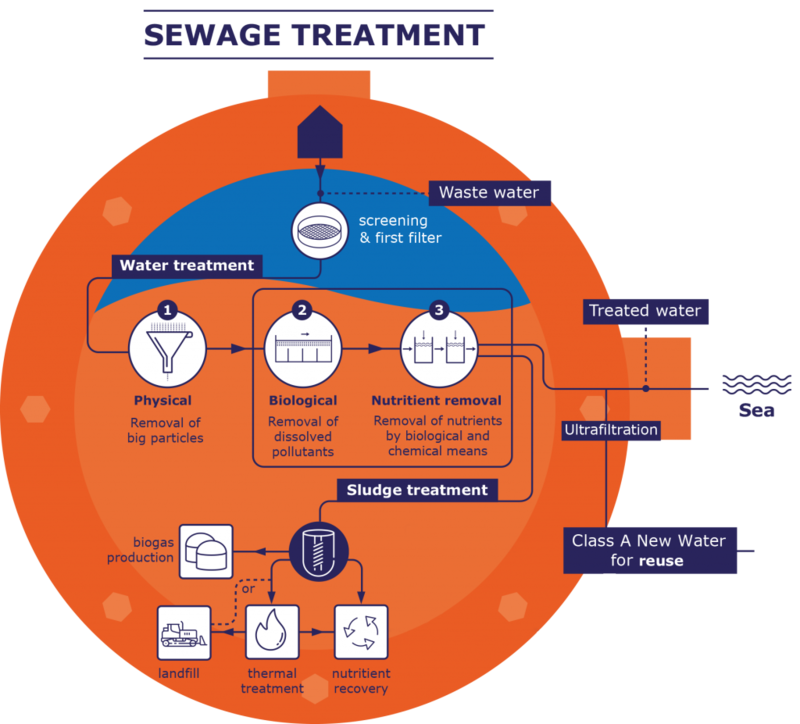 If a tertiary treatment stage is also incorporated the treated sewage can be used for irrigation or other purposes rather than being discharged into the sea. 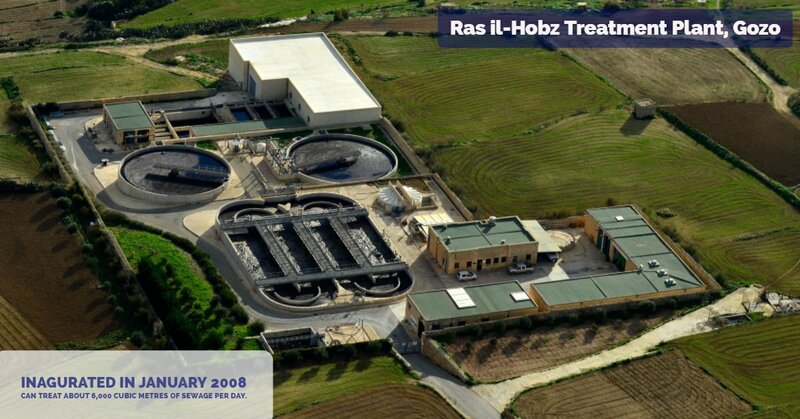 The Gozo wastewater treatment plant began operating in November 2007 and was officially inaugurated on the 29th January 2008. The plant can treat about 6,000 cubic metres of sewage per day. It was 51% co-financed through the EU 2003 Pre-Accession Programme (51% EU Funds – 49% Local Funds). It was designed to cater for substantial possible future expansion as well as increased flows during the rainy season and the peak month of August. The low-silhouette design minimises both the visual impact as well as light pollution. This plant was inaugurated in January 2009 and has a capacity to treat 6,700 cubic metres of sewage per day. It has eliminated the raw sewage contamination of popular sandy beaches and bays, particularly, Għajn Tuffieħa Bay, Ġnejna Bay, Anchor Bay and Paradise Bay. It was funded through the 5th Italian Protocol Agreement. This plant too has had very little visual impact on the surrounding environment. This plant can treat about 60,000 cubic metres per day. It was designed around a fixed-media filter treatment process to minimize the footprint of the installation in addition to the operational advantages of this system. The plant is also particular, in that it is equipped with anaerobic sludge digestion to recover energy from biogas, minimizing the plant’s dependency on the national grid during normal operation and in the event of a power cut. 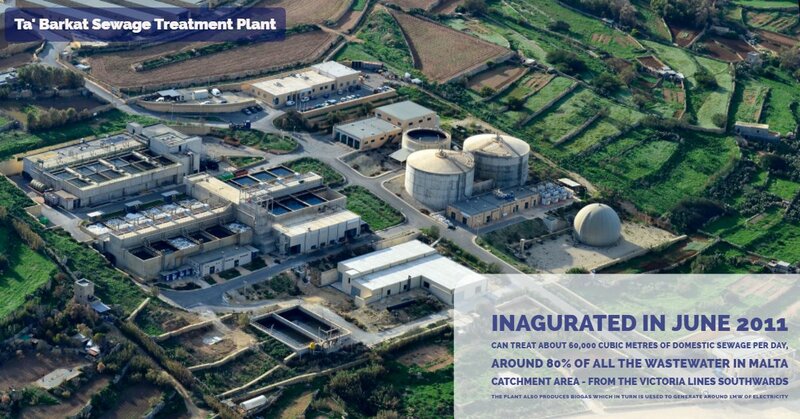 The Ta’ Barkat plant was funded from the EU 2007-2013 Cohesion Fund Program with a co-financing rate of 85% EU funding and 15% local funding. It has eliminated the coastline pollution in Kalkara, Xgħajra, Marsascala and Marsaxlokk thereby upgrading the bathing water quality. Have you ever wondered what happens to water after it’s flushed down the drain?